February Second, AKA ice-cream for Breakfast day, AKA Groundhogsday, AKA Candle Mass, AKA National Tater Tots day, AKA Chandeleur. It’s the time of the year when the days get noticeably longer. It’s the time of the year when you’ve been hibernating, and you need to come out of your cave and see your friends, and celebrate. It’s the time of the year when you need to hold the light of the sun in your hands, sprinkle something sweet on it, fold it in four, and take a bite of it. 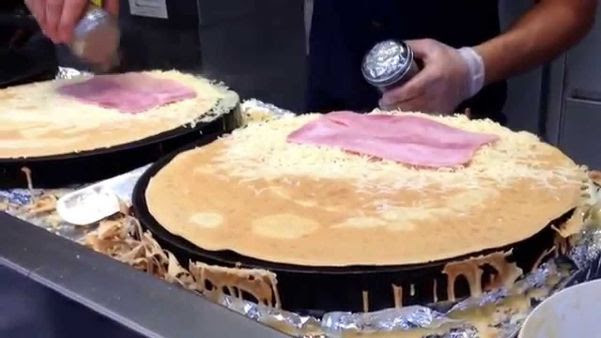 It’s time for Crêpe day. Join us at the Sunview Luncheonette for our annal gathering over Crêpes and cider. We provide the batter, and hard cider and you bring a topping or drink of your choice. Nutella, jam, fresh fruits, or cheese, for instance. Jean Barberis is a maker, an artist, a curator but he rarely makes a distinction between the various aspects of his practice. His work almost exclusively revolves around collective initiatives. A native of Provence, Barberis co-founded Flux Factory and was formerly Flux’s Artistic Director.